QUESTION: Mr. Armstrong, You are friends with Bill Kristol. So what is going on. He seems to be very much against Trump and is moving for an independent candidate. You know him. Any inside scoop? ANSWER: Yes, I know Bill. However, I would not say we are friends. Yes, we have been to dinner many times and he spoke at one of our conferences back in the day (in 1996, I think). I helped him when he started the “Weekly Standard.” Our company took the back cover for the first six months or so. But beyond that, I would not say we are friends in the least and he was not so neo-conservative 20 years ago. Now, Kristol is in league with Mitt Romney and Paul Ryan to create a triumvirate in hopes of stealing the election away from Trump by forcing it into the House where they hope to save the establishment against the people. The scheme is not to win. The scheme is to prevent either candidate from winning enough electoral votes to throw the election back to the House. House Speaker Paul Ryan was forced to begrudgingly endorse Trump. However, Ryan is part of the establishment and part of the problem in Washington. He may have endorsed Donald Trump’s presidential campaign, but just last week his office said that he would not encourage other Republicans to support their party’s presumptive nominee. 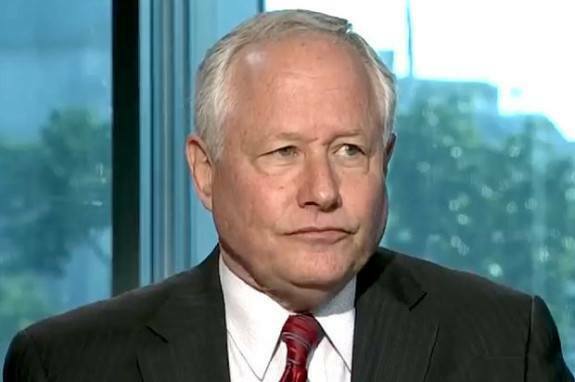 The establishment is cheering Kristol behind the curtain, but they are so out of touch with reality it is sick. These people are fighting against the country and the people to maintain Washington. This triumvirate is exactly why 86% of “Republicans” are voting for Trump against the elites. I do not agree with Kristol or endorse his view. I believe what he is trying to do with his oligarchy backers, Ryan and Romney, is against the best interest of the people of the United States and amounts to a denial of any democratic process. This is the phase transition or bubble top in their pretend, “conservative” brand of politics that washes its hands in the blood of our soldiers. With respect to “conservative” policies, well, they had two Republican presidents since Reagan who did nothing to reform the system. The debt still exploded from $1 trillion under Reagan in 1980 to nearly $20 trillion. I also know many other people in high-profile positions. I speak from experience, not from conspiracy theories. This is the end game for neo-conservative people like Kristol and their oligarchy. They will lose all credibility and will be seen as dangerous people. They are in a state of denial, exactly like Hillary, and belong to an era that will be no more. They should go collect their Social Security checks and play golf.